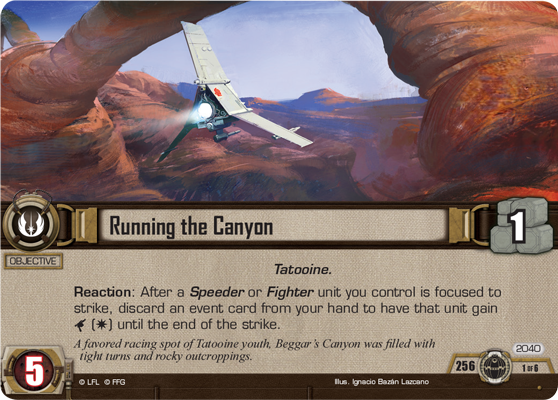 The latest version of the Star Wars™: The Card Game FAQ is now online! This update contains the usual clarifications, updates, new questions, and other minor changes that come with refining the rules. In addition, today’s update includes a couple rules changes and an update to the restricted list that tournament players should be sure to read about. Learn why these changes were made directly from the developer in the paragraphs below, and then download the new FAQ to see all the changes for yourself! Click on the image above to see the new FAQ. This update goes into effect 4/23/2018. 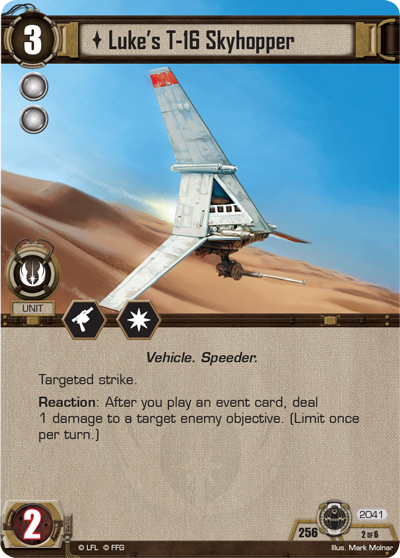 This update to Star Wars: The Card Game is intended to set the stage for the upcoming World Championship in May. The goal of this update is to ensure that the rules are coordinated with the most recent product releases and the metagame remains as enjoyable as possible! To that end, we have cleaned up a pair of rules and added a few groups to the restricted list. 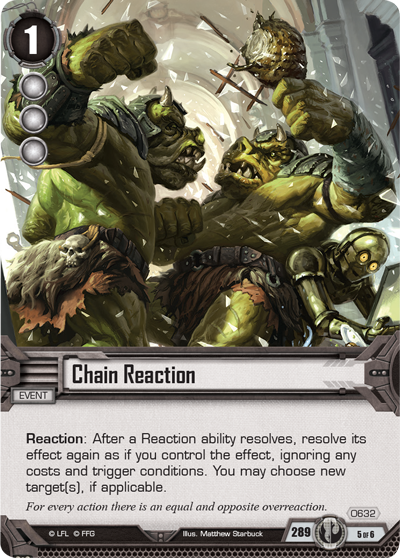 The first rules change clarifies the wording surrounding damage, so that card text works as intended. 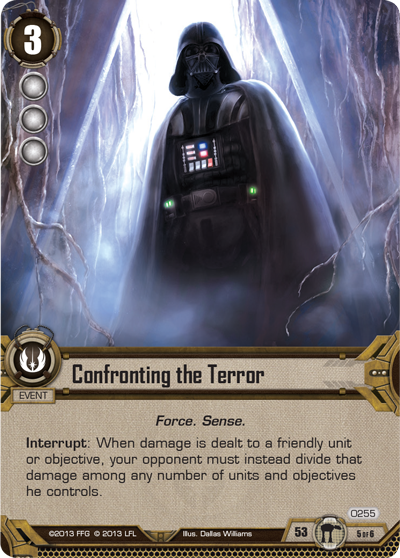 The word “dealt” in regards to damage now operates with its expected English meaning, rather than having the specific meaning of “damage that has already made it onto the card.” This reversal does not change any card interactions except for that of Confronting the Terror (Assault on Echo Base, 255), which will now redirect all damage from a single source back to that source’s controller. The second rules change is a reversal of a previous ruling regarding blank enhancements. If an enhancement’s text box is made blank, it is no longer discarded. An enhancement will only be discarded if its attachment conditions are contradicted, not if they cease to exist. This clears up the inconsistency between enhancements that attach to other cards and enhancements that attach to the play area. The light side Restricted Group 5 has been updated. 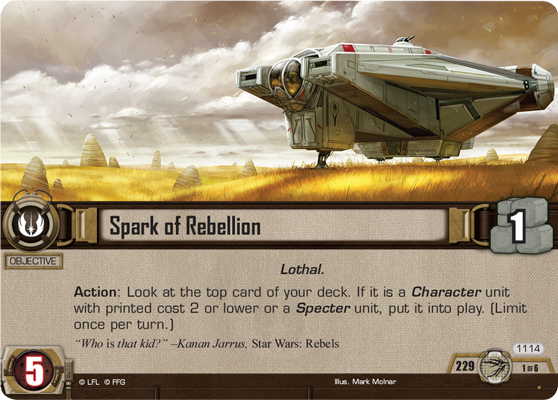 This was originally created to break up two of the most powerful light side Jedi objective sets: May the Force Be With You (Join Us or Die, 567) and Spark of Rebellion (Galactic Ambitions, 1114). 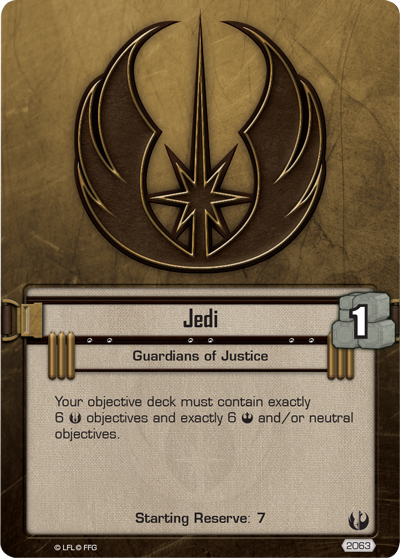 A third card is being added to this group, so that it cannot be played with either objective set: the Guardians of Justice affiliation card (Allies of Necessity, 2063). 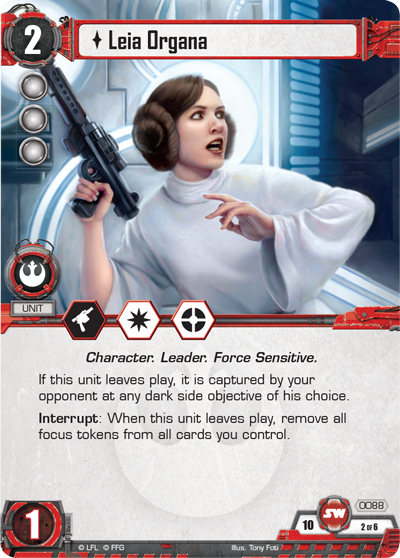 The consistency of May the Force Be With You, the explosive potential of Spark of Rebellion, and the edge advantage of Guardians of Justice have proven to be too dominant in the tournament metagame. Aspiring Jedi players will have to choose which of the three powerful effects they wish to leverage in their battles against the Empire. A new restricted group is being added to the light side as Restricted Group 6. 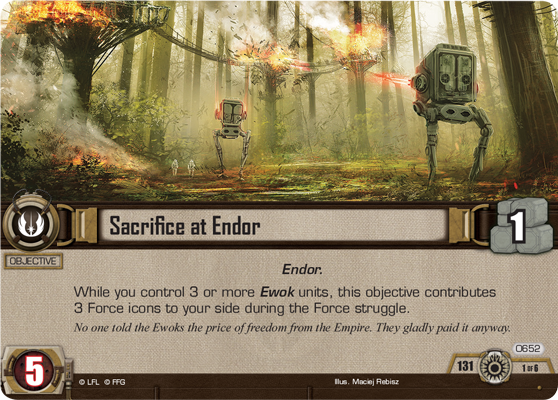 This group contains Fleeing the Empire (Core Set, 56) and Sacrifice at Endor (Between the Shadows, 652). 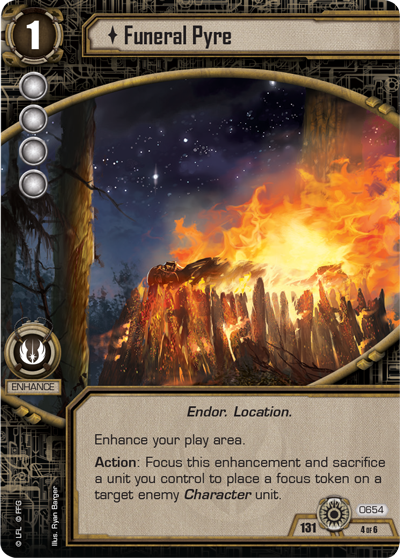 Funeral Pyre (Between the Shadows, 654) is a powerful card, but it is limited by a requirement of focusing to trigger its ability, while Leia Organa's (Core Set, 88) powerful refreshing ability is mitigated by the inconsistency of when it can be triggered. Funeral Pyre mitigates Leia’s inconsistency and Leia mitigates Funeral Pyre’s once-per-turn-cycle limitation. 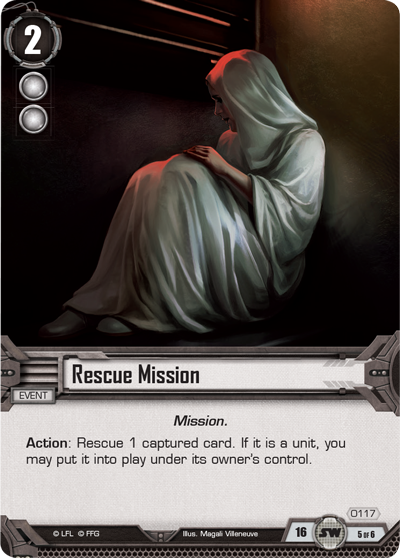 In addition to allowing players to completely dictate which Characters get to participate in a turn, it has enabled an effective late-game infinite combo alongside Rescue Mission (Core Set, 117) that removed interaction from the game. The last restricted group added to the light side is Restricted Group 7. 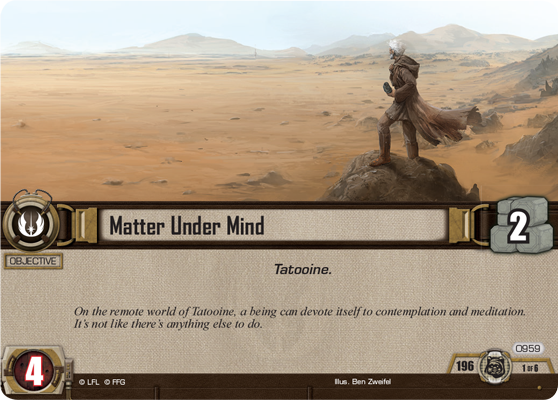 This one breaks up another powerful Jedi combination: Matter Under Mind (The Forest Moon, 959) and Running the Canyon (Technological Terror, 2040). These two sets have been paired to great effect, as Brainiac (The Forest Moon, 960) is able to alter the text of Luke’s T-16 Skyhopper (Technological Terror, 2041) to make it deal two objective damage with the first light side event played each turn. 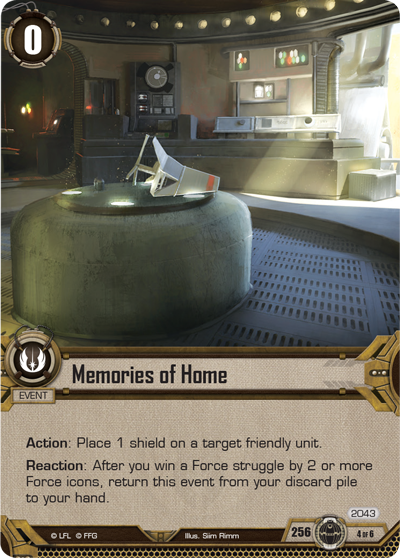 When combined with Memories of Home (Technological Terror, 2043) in the Skyhopper’s objective set, the three cards have allowed light side players to deal four damage to dark side objectives each turn cycle without ever attacking, so long as they can hold the Force. While some amount of direct pressure is valuable for a game, this combination is too effective at allowing the light side player to win without participating in the most interactive part of the game: engagements. 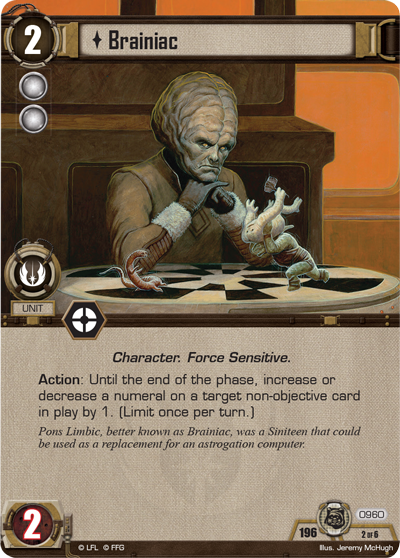 One restricted pod has also been added to the dark side in the wake of the release of the final pack. Dark Side Restricted Group 5 contains I Don’t Like You, Either (A Wretched Hive, 1167) and Double-Crossing Droid (Promise of Power, 2205), breaking up the same two cards that were restricted in Restricted Group 3. 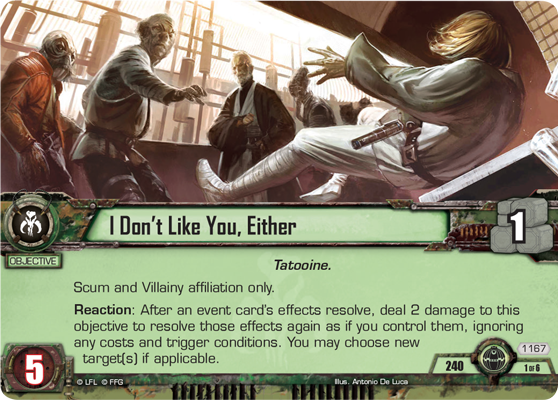 Using I Don’t Like You Either to copy an event, Chain Reaction (Promise of Power, 632) to copy the objective’s ability, and the objective to copy Chain Reaction again, a Scum player can conceivably resolve a single event four times (or an opponent’s event three times). 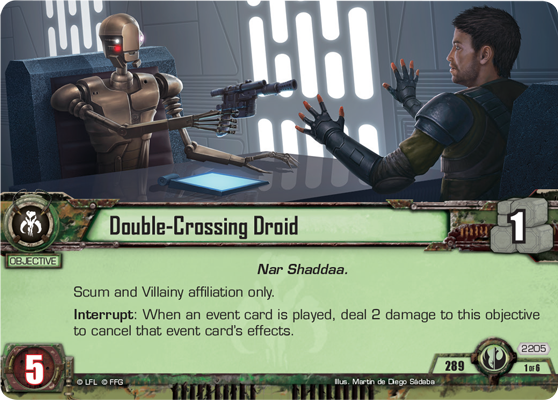 As this interaction only costs one card, one resource, and four objective damage, it has proven too efficient and remains on the restricted list. This update will help keep the game diverse for everyone attending the World Championships next month and will hopefully carry into the final tournament season in the summer and fall. 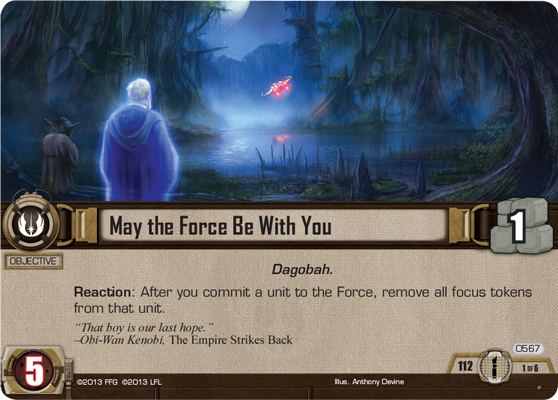 Download the new Star Wars: The Card Game FAQ now to read the entire update before it goes into effect on April 23rd. 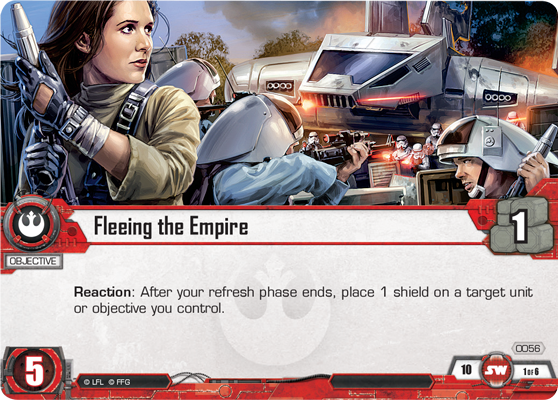 Players attending an event before April 23rd can still find the previous FAQ on the Star Wars: The Card Game page. 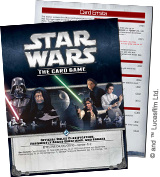 As always, game rules, tournament regulations, and other support materials for Star Wars: The Card Game can be found on our Star Wars: The Card Game page.